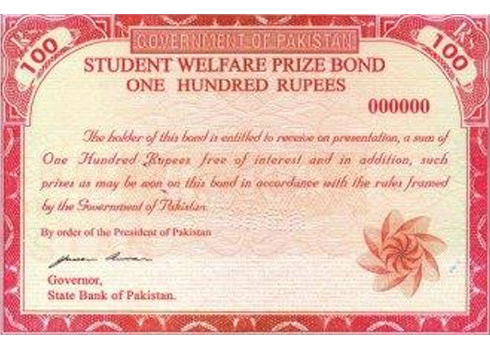 The National Savings Pakistan announced “Student Welfare Bond” few years back and it is afforded by most students. These are available at office of National Saving Centres, Post offices and all scheduled banks. Also if you are in United Arab Emirates (UAE) then you can purchase from United Bank Limited and Habib Bank Limited Branches of UAE. Sale of these Prize bonds was started in November 16, 2012. 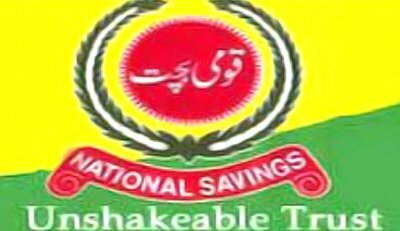 This scheme is started for promoting the habit of saving among Pakistani Youth. P lease Use “CTRL” + “F” on your keyboard for quick search after opening the text file of bond result given above. This was stated by Director General National Savings, Zafar Mehmood during a meeting with delegation of National Youth Assembly. “The purpose of introducing this Bond is to create the propensity of savings among youth; the 62 percent of the total population”. Zafar Mehmood said “This programme would be run under Public Debt Act 1944 and the ratio of taxation would be levied according to the existing law”. Prize Bonds is an investment and which is bearer type of securities in the form of the denominations of Rs. 100, Rs.200, Rs.750, Rs.1,500, Rs.7,500, Rs.15,000,Rs.25000 & Rs.40,000 Pakistani Rupees. These bonds are always issued in a series. The series consists of 1 less than 1 million bonds. There is no fixed return but paid in form of prize draws which is held on quarterly basis in Pakistan. Draw is held under the common draw system and number of prizes are equal for every series i.e. 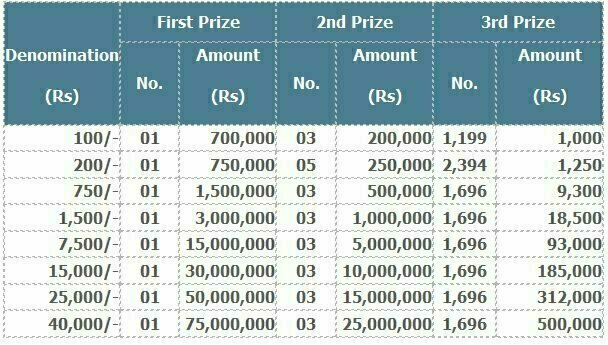 if 50 series of Rs.100 Prize Bond are in circulation then on each & every draw they choose 50 winners of first prize and 150 lucky winners of second prize and so forth. What are the guidelines for application forms for claiming prizes on all denominations of Prize Bonds? Why the genuineness of prize bonds cannot be checked at SBP BSC field office? and above are essential to be sent to PSPC for genuineness verification due to huge prize money involved. whereas the Payment of prize money is paid as usual. Q5 Should we claim prize money in our own name or sell it to a broker? Answer: Prize money should be claimed by the bearer. money of Rs. 10,000/- and above, the bonds are retained and their face value is paid to the claimant. Q8 Can prize money be claimed for a prize bond whose receipt/ payment order is lost? Answer: Yes, subsequent to fulfillment of prescribed conditions. Q9 How a person can claim prize money? Answer: Please refer to Section A Q1. Q10 with that of CNIC? Draw and onward) after deduction of prevailing withholding tax as levied by Government of Pakistan. Q13 Are there any charges of prize money claim form? Q15 Whether claimant can obtain payment of prize money through an authorized person? Answer: It depends on discretion of competent authority of the field offices. Q16 Can we claim prize money of damaged bond? Q18 Reasons for time lag on prize money? Answer: Confirmation of genuineness of the bond from PSPC and concerned Public Debt Office (PDO). Q19 Up to what period prize money can be claimed? Answer: Prize money can be claimed within six years from date of the relevant draw. When is the amount of prize money paid? (from 30th Draw onwards) at all SBP BSC Offices. two times on the same date or otherwise? Q1 Answer: Prize bond draw is held by a committee constituted by CDNS and open to general public. machine is also checked by general public before the start of draw. is held separately for each prize and small investor can win big prizes. Q5 Is there any way to ensure that the prize bond purchased would win a prize? Q6 was included in the draw and won a prize as well? Q7 Why the prize money on the winning number is not paid very next day? Answer: Due to preliminary preparation of books for official purposes. Q8 How many numbers of Prize Bonds are in a series? present in the Active Taxpayers List) irrespective from the date of draw. Q2 Whether an income tax payee is exempted from withholding tax on prize money claim? Is 15% and 25% WHT on small prizes not discouraging for small savers? not discouraging to the small investors. (Bank), National Saving Centers and designated branches of commercial banks. of prizes are fluctuated accordingly. return compatible with mark up prevailing in the money market. Q4 Is there any limit on purchase of Prize Bonds? Savings Centers and obtaining face value thereof. Q6 Are the prize bonds sold by commercial banks/ National Saving Center are genuine? Answer: Yes they are the authorized dealers. Q7 Can prize bond be encashed any time after their purchase? SBP BSC and CDNS Website. while claim bonds are paid (if approved) within three working days. Q10 From where I can get the draw schedule? Q12 Why fresh prize bonds are not issued during sale period? Answer: Fresh bonds are issued when the stock of re-issuable bonds is fully utilized/exhausted. Q13 Is there any institution, other than SBP BSC (Bank) that offers sale/encashment of the prize bonds? Answer: Yes. National Saving Centers and commercial banks. Q14 What is the role of SBP BSC (Bank) in the Prize Bond sale/encashment? Answer: As an agent to CDNS, SBP BSC is responsible for management of the scheme in all respects. Q15 Are prize bond numbers sold to the customers of their own choice? Q16 Is there any deduction against refund of face value of defective Prize Bonds? Q18 Can we exchange old denomination bonds? Q19 In case of theft can payment be stopped? Answer: No. Prize bond are bearer instruments. Q20 Can we get full value of damaged bond? as per Prize Bonds Rules, 1999.
the instrument and can claim prize money. Q23 How much time is taken to issue a new prize bond? 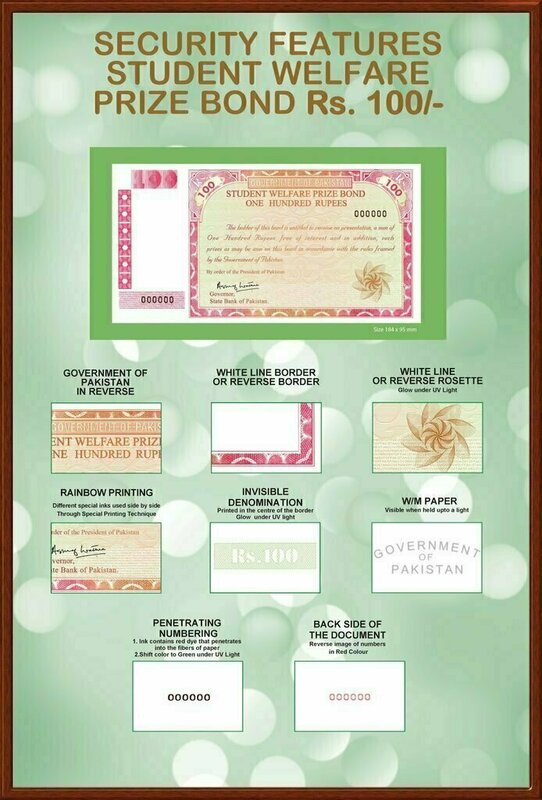 Answer: New prize bonds are issued on immediate basis over SBP BSC Field Office counters. Q4 What is the purpose of Prize Bonds scheme? Answer: To encourage public investment. It is a source of domestic borrowing for Government. draw is held under the Single Common Draw System. does not fall under SBP BSC Purview. Q8 Whether it is in accordance to Sharia principles? Q9 Is the prize-winning list available with brokers is authenticated? Q10 Is the National Prize Bond a registered or Bearer instrument? Answer: The National Prize bond is a bearer instrument. Q12 Are brokers authorized to deal in sale/ purchase of Prize Bonds? In paper: (i) enlarge watermark, (ii) micro-printed security thread, (iii) invisible colored fiber. (iv) invisible denomination print, (v) numbering in red fluorescent ink. action is taken against the claimant as per Bank’s rules. controlling/managing all government savings for the benefit of General Public. the law relating to Government Securities issued by the Government. payment of prize money against bonds of Karachi PDO after confirmation. Q19 Why the prize bonds of Karachi circle are sold at Lahore Office? Answer: Only re-issuable bonds are entitled to be sold/encashed at any Center of any circle. having huge amount of big prizes. Q21 What is the schedule of draw? Answer: The Schedule of draw contains Draw No, Place & date of draw. What are the various denominations of National Prize Bonds and their respective prize money? Q23 Whether fresh bonds of all denominations are available for sale irrespective of Shut period? Answer: Yes but these bonds will be sold in the open period after exhaust of re-issuable bonds. Q24 Why prize bonds are not issued in a series? Q25 What is the legal backing of Prize Bonds? Answer: Guaranteed by Government vide Public Debt Act, 1944.
exceeding Rs. 1,250/- are dealt with at all field offices of SBP BSC (Bank). mera pas 2013 December ka 2 Student Welfare Price Bond hain. Kia wo ab tk 2019 main Expire hoo chukay hoo ga? Main na ab tk use nhe kia unha. or unha kasa check kia jaa sakta ha…? or kia in price bonds ko jo mera pas hain kisi trha karamad bnaya ja sakta ha?